I have peculiar and probably not noteworthy talent: on a road trip, I'm almost always the first one to spot the sewage treatment plant when we drive through a new city. Bear with me, it's relevant. As I mentioned last week, my ideas about the makers were catalyzed by the final disintegration of the start-up with which I worked. The fact that after a number of transitions and missteps, we'd finally made something significant was largely irrelevant to the people with money. Of course, we were simply following a pattern I've seen repeated a number of times. I began to wonder what a world would look like in which the people who made things had real power. Notice I didn't say they had the power: that would simply replace one controlling group with another. I imagined a "magic system"* that was open to anyone but only manipulable by people with the sensitivity and aptitude of the makers. It's not that users are forbidden from exercising the power, it's that they don't have the aptitude, the patience, or most importantly the unconditional love to make. The essence of the power of the makers is the ability to see the whole and the parts simultaneously. One of the ways to understand this kind of double-vision is in terms of infrastructure: the devices we use and the cities in which we live exist because of the infrastructure that supports them--something most people blithely ignore. But I see the world in terms of structural and systematic relationships. That's why I started with my knack for spotting sewage treatment plants. How does this give you power? Once you understand both the parts and the whole, you see how a change here produces an effect there. Then you can take responsibility for a thing and shape it according to your purpose. This, of course, only scratches the surface of the power. But that's just fine: makers are patient and understand that real, sustainable change (like learning something non-trivial) takes time. 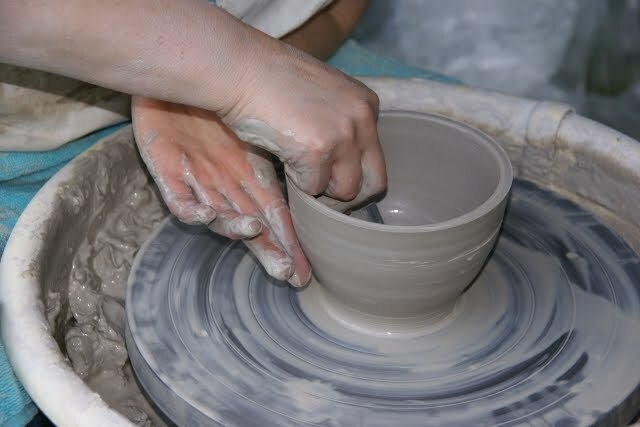 * The "magic" of the makers is nothing more than being able to rearrange matter, much like a potter, in certain places. It's closer to nano-tech than hocus-pocus.